1 What Is Purified Water? 2 What Is Distilled Water? 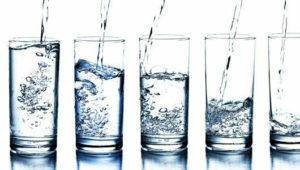 4 How To Test If You Have Safe Drinking Water? 5 Is Purified Water Better? 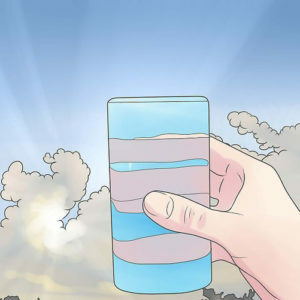 6 How To Purify Water? 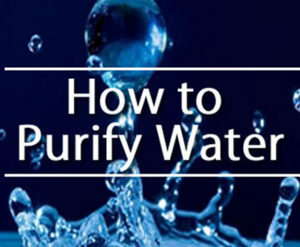 There is a wide variety of ways through which you can purify water. Some of them are ion exchange, distillation, reverse osmosis and more. The idea is that you remove or at least reduce the impurities in the liquid. And this is what purified water is – the quality of the water. To say that some water is filtered it needs to have less than 10 PPM. Flocculation and coagulation – To filter the water you add positively charged chemicals in the liquid, and they attach themselves to the negatively charged particles. That’s where the name comes from, due to the name ‘floc’ which represents the larger particles. Sedimentation – The floc then goes down to the bottom of the water reserve, that’s because of its bigger size, but this makes it also isolated from the water. Filtration – The floc stays at the bottom, but the water on top of it, which is clean, flows through different systems where it gets filtered more. Those systems are made out of sand, charcoal, and gravel. Thanks to the different sizes of the particles in these systems, they manage to remove bacteria, viruses, dust, and chemicals. Disinfection – This is the final step, where people add chemical disinfectants such as chlorine, to the water. This is done so any remaining contaminants that have survived the filtration systems can be killed here. This is one of the types of purified water because it goes through a distillation process. The distilling process is where the water H2O is boiled firstly. And then through steam and condensation, it returns back to liquid form but leaving behind chemicals, minerals and any other particles that were in the original water. Because the end distilled water has no organisms, it makes it really pure. And thanks to this process the water has a PPM of around 1, which classifies it as purified water. To be categorized as such, the parts-per-million (PPM) has to be between zero and one. Thanks to how pure is distilled water, it is used not just for everyday drinking or to put in appliances. Furthermore, it is even used in the medical field for cleaning wounds and more. 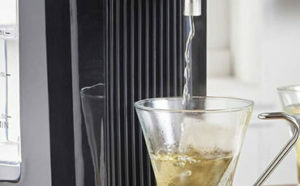 What are the key advantages of using a water distiller? Read on to find out! We can’t differentiate one from the other, or you could say that there aren’t any differences, between the two, except for how the water was purified to reach that final state. The reason for us to say that is because distilled water goes through specifically this technology of distillation. 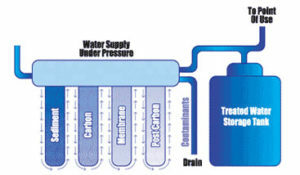 Meanwhile, clean water undergoes other filtration systems such as ozonation, sand filtration, reverse osmosis or others. The only difference is that distillation as a process takes up an enormous amount of energy. For instance, reverse osmosis requires way less power. There are some rumors that you can use distilled water only for steam irons isn’t true. The reason why this became a famous statement is that this type lacks minerals, which could otherwise clog up the steam holes the appliance has – but because they don’t have them, they keep the iron clean and working for a long time. You can also drink it without worrying. In fact, distilled water can have benefits in some cases. If you use some kind of filtration system, you make sure that any chemicals or other contaminants in the water are removed, so what you drink is completely clean. However, it depends on what technology you use to purify the water. Another thing you benefit from if you purify your water is the fresh, clean taste you get in the end because any lousy taste from chemical treatments, metal plumbing or just organic matter is gone. One specific thing that is recommended to HIV/AIDS positive people and those with certain cancers is to drink distilled water. That’s because the risk of getting sick due to contaminants in food and water, otherwise, is increased. You might also want to think about purified vs. distilled water for babies because when it comes to taking care of an infant everything has to be sterilized and really pure. In this case, you can use distilled water after the baby is over six months of age, then it is appropriate. However, be alert not to give it too much water. To improve your health something that can help is drinking fresh, not contaminated water. Since our body has a really high percentage of water, if we drink water with good quantity and quality we also help our tissues. In addition to their ability to resist viruses and injury, their performance and quality, is linked to the water we consume. This means that if you provide your body with the best quality of water, then your body will perform in the best possible way. Maintenance – Since the filtration systems have the job of removing all these particles and they work with different ways of doing that, they need to be maintained regularly. If that doesn’t happen, all of the things it was trying to remove from the water would just build up in the filters and go back into your drinking water, which is supposed to be clean. Filter – Even though theoretically the process that we talked about seems immaculate, obviously some particles still manage to stay in the water. But that depends due to the type of filtration they would need to be exterminated otherwise. So you should just keep in mind that even in the best clean condition the filters might still clear around 99.9% of the contaminants in the water. Cost – If you decide to invest in having purified water, you might have to prepare yourself for some significant expenses, depending on the system you want to get. 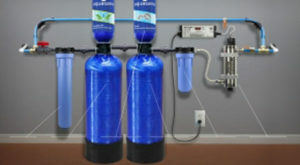 There is just purified bottle water if you don’t wish to an in-home water purification system, but there is also the variation of doing your own DIY filter technology. The only downside is that it won’t be as good as a professional machine. Waste – If you do decide to just buy ready filtered water in plastic bottles from the market, this could lead to a significant amount of waste. That can also be said even if you have an in-home technology because you still have to dispose of the used filters. If you want to go eco, glass bottles are the way. Particles – Distilled water is so pure, and that makes it amazing on the one hand. But on the other side to be like this, it also lacks essential natural minerals and electrolytes. Calcium and magnesium are one of them, and they are something people have to intake daily. But if people follow a healthy diet, that isn’t much of a problem, because they will manage to get all of the nutrients needed. How To Test If You Have Safe Drinking Water? This is an essential step because if you know the quality of your water, you would be able to improve it. Luckily there are ways to do that. Consumer Confidence Report – This is something that is done by municipalities annually, all you have to do is request the report from your local water company and look into the data. If you have a private well, however, you aren’t applicable for this. Anyhow, if you are one of the people without private wells know that the summary will be delivered to your home and it provides you with general information. Check your Tap – If you want to do your own research just in case, your first step in this beginning would be to fill a glass of water from your tap. Now you can just check with your senses. Hold it up somewhere where you have good lighting and check if there’s any sediment or discoloration. Then you can smell and sniff the liquid to sense if there’s any odor. As a final step, you can check your tub, toilet, drains and water fixtures if they have any stains. If you do have one of the mentioned things positive, for more adequate and precise testing get a professional. Some signals that you should take as a warning are the taste and smell which is metallic or a discolored look. Furthermore would be cleaned silverware that is tarnished or rusted, this is if you have used your home water. Private System – In case you have your own water supply, one of the mandatory things you should have as a routine is testing your water. A test for herbicides and insecticides should be done minimum twice a year, and annually test for lead, Ph and total dissolved solids. We looked a little bit at the subject of public facilities for drinking water, and in most cases, the source is tap water. But thanks to the filtration set by regulatory agencies, the water is safe to use. However, that water has the potential of being contaminated by other things such as human activity or natural sources, thus affecting its quality. 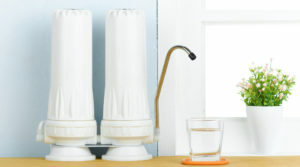 For people who are more susceptible to getting sick from contaminated water or those who are immunocompromised it definitely sounds like a good idea to look into and possibly invest in an in-home water purification system. On the other hand, some countries have a different situation. There are some who struggle providing clean public water, most of the countries who have a job like this are the developing ones. In those places, the safest option would be picking a bottled or purified water. 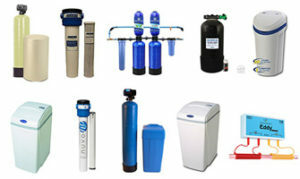 There is also a wide variety of filtration systems that you can get. Some of them remove impurities that have managed to survive the initial steps of the large-scale purification process, which is something that most tap water undergoes. Charcoal and UV filters are some of these systems. Because of this in countries where public drinking water is regulated for safety and better quality, using tap water is somewhat safe. 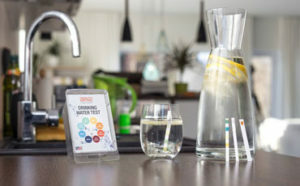 If you are unsure or if you just want to check what’s going on with your tap water at home, you can do a test. There are home test kits available, or for better and professional results you can contact a water testing agency in your area. This will help you understand what are you putting in your body and is it safe enough. One big question that comes up in this theme is distilled vs. purified water for babies. A lot of mothers are unsure of what would be the best water to use for their infants, and now we will spill all the tea you need. The short answer is: you should use water only if the baby is at least six months of age. In most cases, the recommendations show that it is better to get purified or distilled bottled water. This is because it is pure, it lacks even the minerals in it, which in this case is good because if it had them, the baby could have a mineral overdose. This is because it gets its proper intake thanks to the baby formula. Another measure you can use in case you are unsure is merely boiling the water. This is after all one of the ways to purify it. There is also another choice for all the mums out there; however, this one is a bit on the pricey side that is nursery water, which according to some people isn’t much different than purified or distilled bottled water. Despite that some public source of drinking water is regulated, some people still decide to take control over what’s the quality of the water in their home and for that they use home water purifiers. In case you’ve decided that this is something of your interest or you are just curious about the process, here we will share some details with you. Even if your water is already being purified, there still might be some particles left in it. If you use a household unit for additional treating of the water you can remove specific contaminants you don’t want, and you can improve the odor and taste of your tap water. There are two variations of doing such treatment at home. One is POU, point-of-use, which a system that focuses on the water that is used for drinking and cooking and the best choice for hydration, overall consumption. The other one is POE, point-of-entry, this one makes a priority to treat the water in your entire home. Obviously, POU systems are the cheaper option because they handle only one thing, because of that they are also more popular. Reverse osmosis – To remove the impurities here you have a semipermeable membrane. UV-light – The UV light filtration systems kill any organisms that can potentially cause harm and thus disinfect the water by using ultraviolet light. 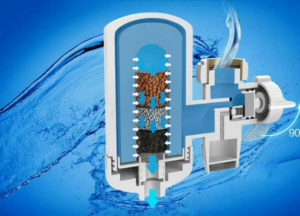 Filtration – Here the technology uses different media of filters, for instance, a charcoal filter, with the idea to trap all the unwanted contaminants in the surface or pores of an absorbent medium. This type of system can range from cheaper models of around $20, and it can go up to hundreds of dollars depending on how much you want to invest in it. Nevertheless of the model you want and decide on, always make sure that it is from a brand with certifications from regulatory agencies such as the American National Standards Institute (ANSI) and NSF International. All of these agencies authorize that a home water purification system has met or even exceeded the national drinking water standards. When you buy such technology, do not forget that it will need to be adequately maintained. It is best to follow the recommendations given by the manufacturer if you want to maintain it properly. The same goes when you replace the filter, if you do this, it will ensure that your purified water has been adequately purified and you get great results every time. If you’re also curious about the difference between hard water and soft water, don’t forget to read this article!